Press Releases and Press Reviews are published here. A three pages article about STAMP tools and methodologies has been published in the March 2019 issue of the French printed publication Programmez! The article explains the growing importance of automated tests, now required for continuous development and continuous integration. New testing tools are improving their speed to deploy more frequent releases of services with less bugs. Amplifying tests in a DevOps approach, the STAMP open source toolset (including DSpot, Descartes, CAMP and Botsing) improves Java test suite and reduce deployed application crashes. Mutation testing examples and use cases are provided in this article. Readers are driven to the beta testing webpage in order to download STAMP tools, try them and give their user experience feedback. This article was commented on Linkedin. Improve your software quality with STAMP open source tools. Join Station F workshop in Paris next February 27, 2019. Paris, February 13, 2019 - OW2, the global community for open source infrastructure software and its founding member Inria, the French national research institute for the digital sciences, are inviting entrepreneurs, developers and DevOps teams to a software quality Tech Talk. This talk will be provided by Caroline Landry, Inria Research Engineer on Wednesday 27 February from 2:15PM at French Tech Central Station F, 55 boulevard Vincent Auriol, 75013 Paris. It will be followed by a Networking Coffee and a workshop dedicated on STAMP automation tools, the direct outcome of an ongoing project supported by the European Union’s Horizon 2020 research and innovation programme. STAMP stands for "Software Testing AMPlification". The STAMP tools act along the Continuous Integration and Continuous Distribution pipeline (CI/CD), reducing errors and eliminating failures in Java applications while they are being designed, configured, and sent to production. Using DSpot, STAMP users can detect and generate automatically missing assertions for Junit test cases. Adding Descartes, a Pitest plugin, to their own Java code, they get more actionable and faster mutation analysis results. CAMP brings configuration amplification based on Docker while Botsing offers a Java framework for crash reproduction. 2h30-3h10: Part 1, Caroline Landry, Research Engineer at Inria Rennes, details STAMP tools and their business benefits, with the ActiveEon use case. 3h30-4h30: Part 2, STAMP Workshop focused on your Java project unit tests, and configuration tests for your Docker project. Take this opportunity to talk with Benjamin Danglot (Inria) and more STAMP tools designers from TUDelft and Sintef. Pour tous les chercheurs, développeurs et testeurs Java, ainsi que pour toute la communauté test et qualité logiciel azuréenne, ce sera une très belle occasion d'échanger concrètement sur les meilleures pratiques dans le domaine des tests Java. Destiné aux chercheurs, entrepreneurs, développeurs et testeurs, cet atelier offre l'occasion unique d’interagir avec les concepteurs d’outils du projet H2020 STAMP soutenu par l’Union Européenne. The STAMP beta testing campaign press release appears in the Intrusio website, November 30, 2018. The STAMP beta testing campaign press release has been posted on Global Security Mag November 29, 2018. The Cloud Expo Europe blog published the STAMP beta-testing campaign press release on November 15, 2018. Using innovative STAMP open source tools, Java developers and DevOps teams can now produce quality releases faster and more frequently. Paris, November 15, 2018 - OW2, the global community for open source infrastructure software, announces the launch of STAMP beta-testing campaign. Java developers and DevOps teams are invited to download and try DSpot and Descartes, both outcomes of the STAMP project supported by the European Union’s Horizon 2020 research and innovation programme. STAMP users obtain a modern testing toolset to leverage their Java testing assets. They can produce software releases more frequently, more rapidly, with higher quality. Using DSpot, STAMP early users can detect and generate automatically missing assertions for Junit test cases, also known as test amplification. Adding Descartes, a Pitest plugin, to their own java code, they get more actionable and faster mutation analysis results. Beta-testers are requested to fill in a short questionnaire by 25 March 2019 to provide their feedback and help fine-tune the toolset. They will also be distinguished as STAMP contributors and enter the community. Moreover, the first campaign participants will receive a customized “STAMP test pilot” gift. A dedicated mailing list has been set up to allow Beta-testers to exchange and share their experiences. 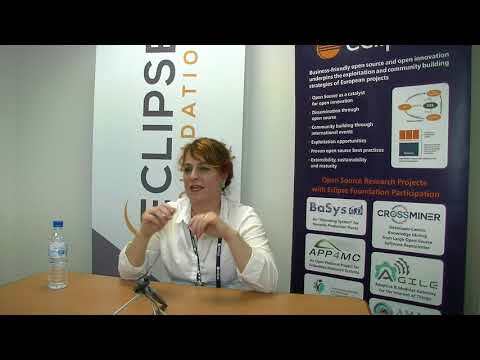 Check out the interview of Caroline Landry, STAMP Project Manager at Inria, during EclipseCon France 2018. In this podcast, the French CastCoders are talking news from the latest developer conferences, including RedHat Summit, Google IO, and Devoxx UK. For example, AI technologies are progressing with several vocal requests now grouped in a context. Micro-service platforms are also evolving very fast. Vincent Massol, XWiki CTO, explains the STAMP R&D project objectives, mutation testing tools and several use cases. Descartes A mutation engine plugin for PIT based on extreme mutation testing, developed within STAMP research project. As open source community partner of Cloud Computing World Expo, OW2 stands out as the exhibition area dedicated to Open Source Cloud and stimulates public debates on the topic. - 16:00-16:20: The STAMP project: An R&D project leveraging the latest research in automatic test generation with Caroline Landry, Software Architect, Inria (read her recent interview). Read the full article on INRIA website.